Welcome to the second issue of RenoZEB’s newsletter! This edition is the second biannual newsletter that will be sent in the framework of the RenoZEB EU project. It aims at updating you about the progress of this project and share with you news and events from all around Europe on nearly Zero Energy Buildings (nZEB). You receive this newsletter, because you have either subscribed online on our project page or you have been considered a relevant stakeholder. RenoZEB aims to unlock the nearly Zero Energy Building (nZEB) renovation market by increasing property value through a new systemic approach to retrofitting. This includes innovative components, and processes and decision making methodologies to guide all value-chain actors in the nZEB building renovation action. RenoZEB will provide cost-effective 'plug and play' solutions for a large-scale deep nZEB rehabilitation schemes, ensuring the integrate-ability of all its components, methodologies, training, guidelines, and demonstration cases. The real and virtual demonstration cases will show and ensure the replicability of the schemes and technical tools to appropriately address the valorisation of the building stock before and after nZEB renovation schemes are applied. Real estate is a very complex and diverse sector. Considerable differences, trends and rules exist between the different segments of the sector, and the national or local markets. Understanding the market landscape and its functioning is crucial to optimise market uptake for the solutions tested in the framework of the RenoZEB project. In the past six months a team of the RenoZEB partners have tried to understand more about the various market incentives that trigger renovation decisions such as, for example, the impact of energy efficiency renovation on the property value. it is difficult to capture the “big picture” of real estate markets, since there is a general acknowledgement that each market has its own unique characteristics and conclusions made for one particular national or regional market cannot be conveyed to another. 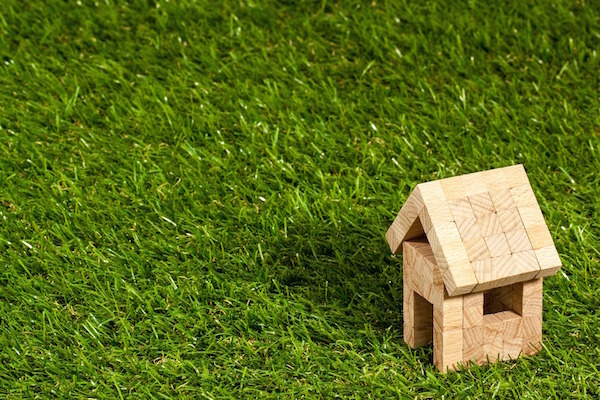 As such, there are various local specificities to consider when quantifying the relationship between energy efficiency and property value, and local market intelligence is an essential element of this process. Local experts in several EU countries underline the fact that although in some particular sub-markets there is evidence that a high EPC rating can increase property value, in principle, EPCs “do not measure the efficiency at the asset level”. Market insights can provide a more comprehensive view on whether energy efficiency is ranked by buyers as an added-value factor per se or if other features associated with energy efficiency (e.g. comfort) are what potential buyers would value more. Research indicates that characteristics like location, size, quality, age and comfort of a building seem to make the top of the list, while energy efficiency is rarely considered as a crucial parameter when purchasing a property. If energy efficiency features are considered, property valuers agree that most buyers care more about attributes that are readily available and visible like double-glazed windows, energy efficient heating systems etc. They describe it as a blend of economic and emotional factors that seem to be the most relevant drivers in the decision to purchase property, while energy savings and financial gains are far less considered. Even though economic factors like available budget may determine the range of the sought property, final decisions are mainly driven by non-economic drivers. Buyers’ perceptions and expectations of energy efficient components can vary also across countries with different climatic conditions. For instance, in EU countries with colder climates, a property may face a price decrease in the absence of double-glazed windows, as it is an expected feature in the market. The case might not be the same in a country with warmer climate where double-glazed windows may be perceived as a less necessary component. So far, the broad conclusion of the analyses conducted in these two projects is that currently - and apart from some niche cases – EPCs per se do not seem to impact property value, as energy efficiency is not a widely sought-after attribute. However, buildings with higher EPC ratings provide a better indoor environment, increased comfort and possibly lower electricity bills, features for which potential buyers would be willing to dip into their pockets. As experts conclude, energy efficiency has the potential to contribute to long term value creation. The RenoZEB project will deliver a plug-and-play multifunctional façade module for retrofitting buildings. This module will integrate several subsystems and technologies, such as, a prefabricated window module with shading device, multi-functional insulation boards, ventilation units with heat recovery, building integrated solar systems, and façade-integrated sensors and control. The team is currently busy to analyse the requirements and specifications of each of these technologies to be integrated in the façade module and the identification of available systems through a market screening. More to come soon. Another part of the RenoZEB team is working on a Collaboration Framework for the whole renovation value chain, taking into account the RenoZEB methodology developed in the beginning of the project. It presents a conceptual platform, which enables the creation of scalable and reusable software applications. One of the outputs of the RenoZEB project will be the Common Data Model, which captures the information and human interaction needs of the whole BIM-driven renovation process defined in the RenoZEB methodology. The considered information domain (comprising users, projects, products and scenarios) was driven by the end-user’s needs, which were captured in the methodology and described as formal requirements. Among them, the functional requirements deal with the capabilities offered to the end user, how the software/hardware performance aspects should be designed to comply with security, privacy, extensibility and availability standards. To ensure that the functionalities are evenly understood and shared by the RenoZEB stakeholders, these formal requirements were translated into visual mock-ups. The Common Data Model will be leveraged by a workflow-aware capability, which will enable the RenoZEB stakeholders to collaborate and have access to the required data at the right time. This collaborative approach will streamline the comparison of deep renovation scenarios comprising combinations of feasible products / technologies contained in the RenoZEB e-catalogue. 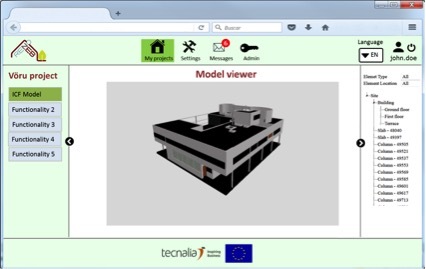 To support the decision-making process, the Collaboration Platform dashboard will provide a 3D BIM viewer that will allow, for instance, the visualization of different retrofitting alternatives. One of the main goals of the RenoZEB project is to create an E-Catalogue of nZEB solutions, as one of the key steps of an holistic methodological approach for deep renovation of residential buildings. It will facilitate for end-users the selection of solutions for deep renovation in an easy and understandable way. The solutions will be selected thanks to a filtering according to price, location and CO2 emissions, that will make choosing the different materials easier. This catalogue provides solutions for the main issues detected during building renovation; problems in constructive elements: floors, facades, roofs (i.e. bad or inexistent insulation); problems with bad performing HVAC systems (usually due to old equipment) and problems with aperture elements (as single glass windows or without breakage of thermal bridge). Also solutions of Photovoltaic panels for electricity generation had been included in the catalogue which will allow the buildings to create its own energy and to be closer of a Net Zero Energy Building. Visit our website to stay up to date.